It is our mission designed to provide a quality mobile learning environment that will enable learning through discovery and the sharing of information and experiences. 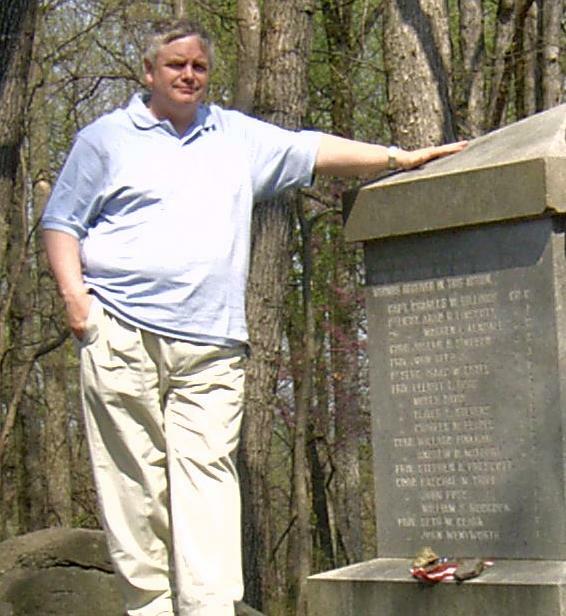 My name is Peter Dalton and, with my wife Cyndi, we are the proprietors of Shenandoah Civil War Tours. I am a recent retiree of Hewlett Packard who has been dreaming of providing tours of civil war battlefields for years. Our business is small but as an owner it is our intent to provide quality travel and learning experiences. Most of the profits from this venture will be donated to Shenandoah Valley Battlefields Foundation. It is in great part to their work that we are able to do what we do. I have been studying, writing, and lecturing on the American Civil War for twenty-five years. I have written three books on Maine's civil war history and have have edited several others. I am currently working on a new book on Major General Hiram Berry. Each year for the last 25 years we have have been visiting and touring the Shenandoah Valley and its civil war battlefields. We know our way around. We would like to put that experience and our knowledge of the area to work for you. The time has now come to live our dream. Please join us. We guarantee you will have a good time. Tour group at Front Foyal near the point of Kenly's Crossing of the Shenandoah River. 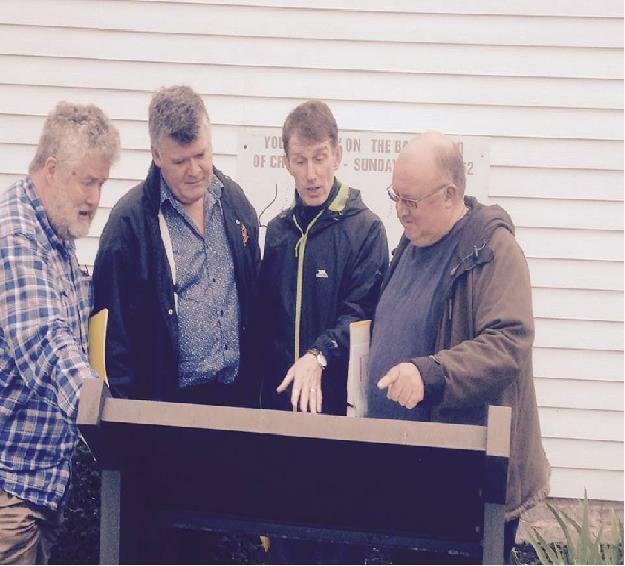 A group of Irish physicians viewing a map of the Battle of Cross Keys with Jackson's Valley Campaign tour. Two brave fellows climbing Sitlington's Hill at McDowell Battlefield. We spotted a bear on our descent from the hill. 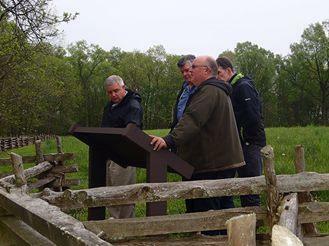 Shenandoah Civil War History Blog. Your guide Peter Dalton is pictured below. Copyright 2014 Shenandoah Civil War Tours. All rights reserved.